Industrial hemp farming has made a comeback in Spain where there has been a revival in its cultivation. Hemp already grew in the wild and had been farmed in many places all over the world long before laws were passed to regulate its cultivation. For thousands of years, it was used for its nutritional and health-promoting properties, and as a raw material for the production of countless food, textile and medicinal products. 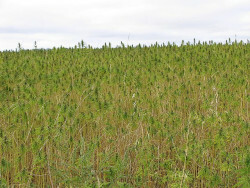 At present, the European Union (EU) allows the production of industrial and horticultural hemp as long as the tetrahydrocannabinol (THC), the psychoactive content, is less than 0.2% (traditionally the limit had been set at 0.3% but was changed in 2002), since there are subspecies and varieties of Cannabis sativa which contain between 0.5 and 5%. Marijuana and hashish are obtained from such varieties. 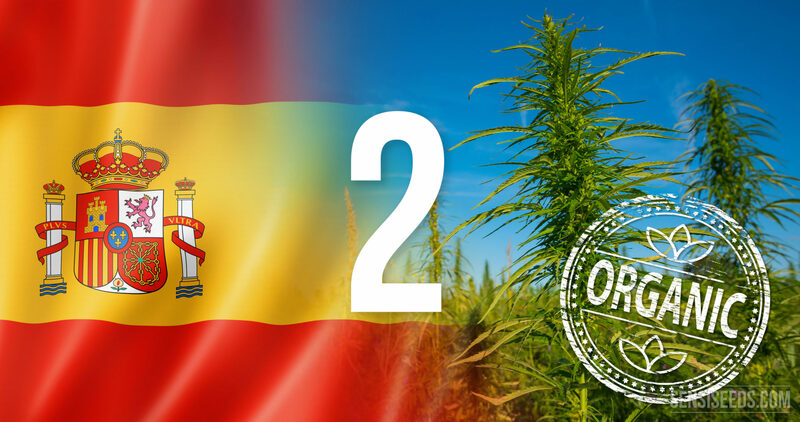 To this end, the Royal Decree 1729/1999 of 12 November 1999 permits the cultivation of 25 varieties of industrial hemp in Spain. Seeds from these varieties must be EU-certified in order for their cultivation to be considered legal. The Royal Decree also establishes regulations to provide economic subsidies for flax and hemp grown for their fibres. The number of farmers all over the country interested in growing hemp continues to grow every day. According to Ronald Coquis, expert consultant and industrial hemp supplier, who for several years has been working with industrial hemp in various countries in Europe and the Americas, support for hemp is also currently on the rise in Spain. There are now technological institutions which have for many years been conducting research in various fields, such as eco-friendly construction, the blending of micro fibres with polymers and so on. Likewise, there is an ongoing revolution in the medical sector. Many laboratories all over the world are interested in the product, and research is being carried out into various medicinal derivatives obtained from industrial hemp such as CBD, THCV, CBDV, THCA, CBG, and CBC which can help numerous patients suffering from all sorts of diseases. All farmers who want to start cultivating industrial hemp must bear in mind that managing the cultivation will depend on the variety, the location of the planting, as well as how the end product will be used. While there are general guidelines, the end product (amount of resin, number of female plants, the length of the fibres, the quantity of seeds…) varies enormously depending on what growing guidelines are followed. 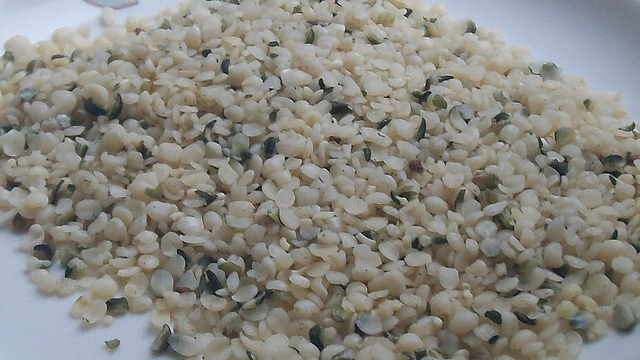 It is therefore vitally important to research the proper methods for sowing, harvesting and processing the various raw materials obtained from hemp. 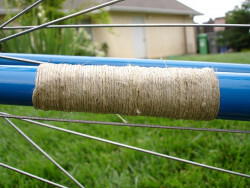 With regard to the machinery required throughout the process, in Spain it takes many years to convert machines used for other crops, such as jute or sisal. This year, however, specially dedicated shredding and debarking machines have been manufactured and, for now at least, are able to meet the growing demand in Spain until the time comes when there is a sector devoted to processing fibres into cellulose for paper, seed dryers, and so on. Numerous local varieties are cultivated in Spain, such as Alicante, Unye, Tarragonae, and Pedemontana, and others. At present, two varieties are grown which are adapted to the conditions of Catalonia and certified by the EU, Delta and Delta 405, which are grown for use in paper manufacture and as fibre for paper pulp. The best-known hemps in Spain come from the provinces of Barcelona, Lérida, Valencia, Alicante and Castellón de la Plana. The most prized varieties are from Levante (Valencia and Alicante) and especially Orihuela. These varieties are renowned for their white, smooth, flexible and resistant fibres, suitable for making fine fabrics. Aragón and Navarre also grow hemp, but the fibres produced from these varieties are too thick, and for this reason hemp from these areas are only used for manufacturing coarse fabrics (sacks), ropes and rope sandals. The provinces of Teruel, Alicante, Lérida, Castellón, Valencia, Murcia, Barcelona, Segovia, Albacete, Huesca, Zaragoza, Guadalajara, Soria and Baleares are the biggest annual producers of common hemp in Spain. Spain has the biggest advantage of all: an ideal climate, which makes several harvests a year possible. Spain has an average of 2,500 hours of sunshine, which is very abundant, even in winter. The greater part of the country is, however, also affected by frequent and sharp frosts which at times can have a catastrophic impact on many crops. The precipitation distribution is also highly irregular, especially in the regions with a Mediterranean climate, where almost all of the annual precipitation falls within a short period. According to industrial hemp cultivation experts, understanding the difference between the climates of the northern regions and southern Spain is the key to becoming the biggest producers in the future. In the north of the peninsula, the Atlantic climate covers all of northern and northeastern Spain, from the Pyrenees to Galicia. It is characterized by abundant precipitation throughout the year and mild temperatures both in winter and summer, which results in very moist soils, and therefore only one optimum harvest is feasible each year. Owing to this, food grains and seeds are considered most suited for growing in these regions. 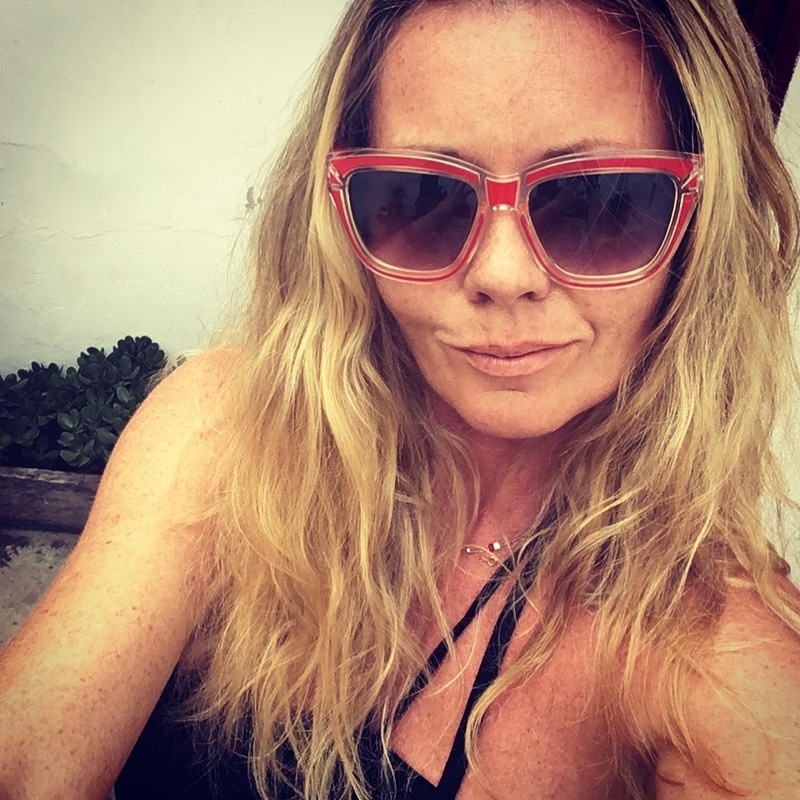 As for the south, the Canaries and the east coast of Andalusia (Costa del Sol) have a subtropical climate, characterised by mild temperatures year round and the lack of a winter. Precipitation amounts vary considerably depending on the area’s orography. 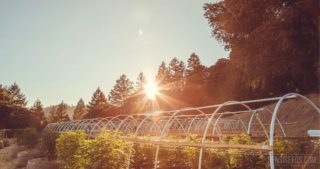 This subtropical climate makes two optimal harvests feasible, and even up to an additional half a harvest’s worth. For this reason, these varieties are grown for use as paper fibre or cellulose, as well as for food grains. To obtain technical fibres, which have a higher market value, other technologies or machinery are required. 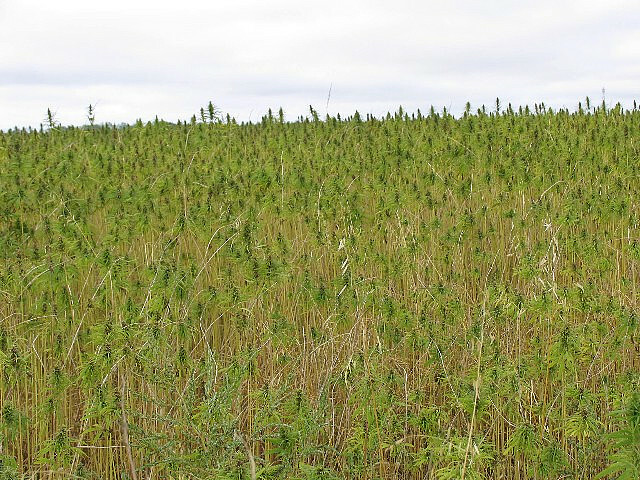 What does a farmer need to grow industrial hemp in Spain? There are associations and organizations which provide information and advice gathered through past experience, to farmers who are currently interested in cultivating industrial hemp in Spain. 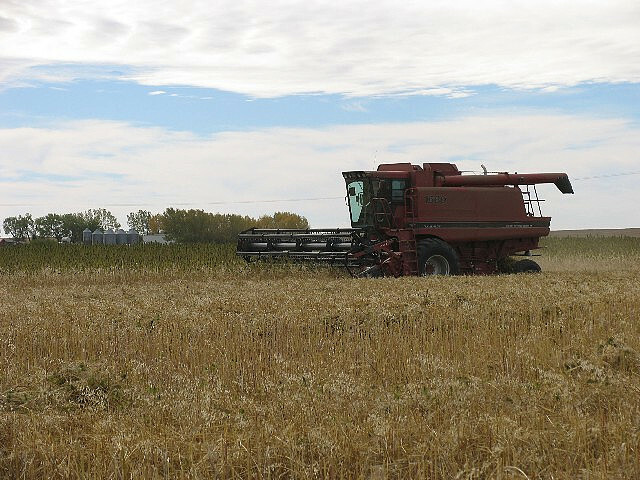 At present, general recommendations, which experts such as Ronald Coquis provide to farmers, insist on starting by focusing on paper fibre or cellulose. The aim is to acquire gradual familiarity with the plant, the varieties of seeds, how well they do in Spain’s climate, how they are processed into various raw materials, and in the future, to work with food seeds. The reason for this focus is that the main demand for cellulose is from the domestic market. Irrespective of the farmer’s chosen alternative, this requires both investment and a business plan, and to this end, farmers are advised to seek the help of qualified consultants. 1 – As for the seeds, it is usual in Spain to sow a minimum of 50 kilos per hectare. This is then harvested after 80 or 90 days, when the gathering process begins. Farmers have a few hours in which to take the food seeds or grains to a dryer, where they have to process or dry the grains. There are various options for dryers, such as renting existing cereal, grain or maize dryers, or building one themselves (which costs around €10,000.) Assuming we are talking about more than 200 hectares, a drying machine must be built which will do all the processing of the dried food seed or grain in a single area. 2 – As for the fibres, it is common practice in Spain to sow between 50 and 75 kilos of seeds per hectare, which are then harvested after 120 or 130 days, by which time the plant would have grown by around 2.5 to 4 metres, which often yields between 2 and 4 tons per hectare. This conversion process requires a debarking machine which can process between 2 and 10 tons an hour. These machines can cost farmers between €20,000 and €87,000. At present, there are no machines specifically designed for this industry. Many machines from other sectors have been improvised and converted, such as those used for jute, esparto, sisal and so on, which were formerly abundantly produced in Spain. 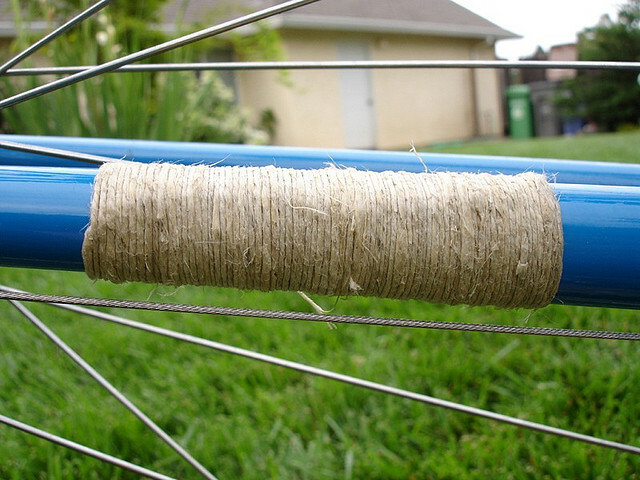 The cultivation of industrial hemp is a safe agricultural alternative. The key to the profitability of this activity lies in following harvesting methods which ensure an optimal germination. An approximate calculation can be made. For example, one hectare dedicated to food grain can yield between 900 and 2000 kilos, depending on the quality of the land, and the grain prices will vary depending on how they are processed, but a price of €0.20 per kilogram is usual for bird seeds, and “up to” €1 per kilogram for human food grain. With regard to fibres, one hectare yields between 2,000 and 3,000 kilos of fibres and barks if the hemp cultivation is meant for fibre production only. If, on the other hand, farmers have processing technology, for this one hectare, they can earn between €200 and €500 from technical textiles, but a debarking or shredding machine is required to process the fibres. The final guarantee depends on the financial agreement reached with the company that purchases the finished product. Industrial hemp has a promising future in Spain, although there is still currently a lot of ignorance and lack of awareness about the plant, both among the general public and authorities. For instance, big and powerful industries have their vested interests, such as the textile and steel sectors. They have no interest in the potential of hemp and will do everything in their power to protect their market share. Industrial hemp farmers, manufacturers and suppliers are united in promoting the plant’s enormous potential. However, they also fear the possibility of arrest and seizure of goods, despite the fact that hemp cultivation is subsidised. 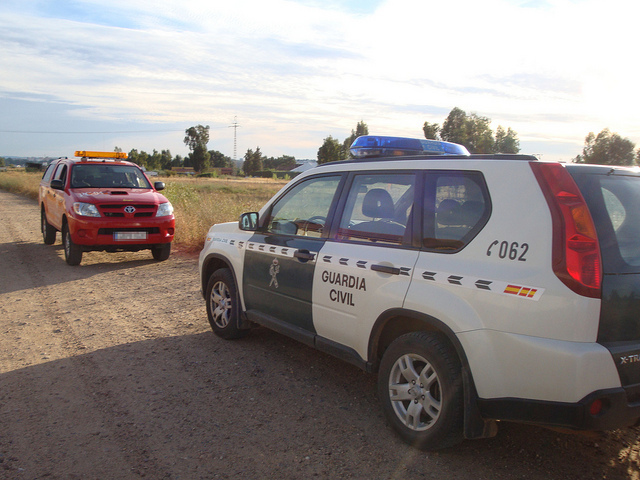 On 8 July 2014, the Civil Guard arrested a plantation owner in Calahorra, a village in the Community of La Rioja, for growing 24,000 industrial hemp plants without a licence. 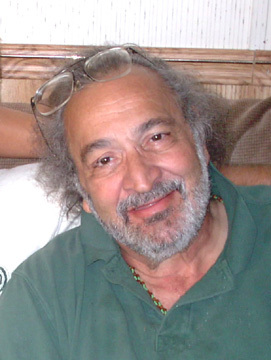 Other producers have been subjected to the confiscation of their consignments of hemp because the authorities confused these with marijuana, which then had a negative impact on their business and clients. Another well-known case is that of Granada hemp farmer Juan Zurita, who was arrested several times for offences against public health. His case was, however, closed by a judge in 2007. In total, 20kg were seized from Juan Zurita in Málaga and later, a further 7kg of hemp was confiscated from him in Albacete, where he spent 3 days in detention. It seems that even if farmers scrupulously follow all legal requirements, they are in constant fear of interference from authorities whenever they carry plant. 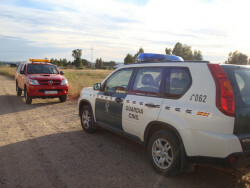 The problem is that for the Civil Guard a package of industrial hemp leaves has the same appearance and odour as other varieties, such as marijuana. If, for example, authorities conduct tests on the consignment or batch of a package of hemp leaves, the preliminary results of their analyses will produce a positive result, given that the tests can detect trace amounts of THC, no matter how minute. This then leads to a process of seizure and subsequent handover of the samples to healthcare authorities for a second round of laboratory testing. 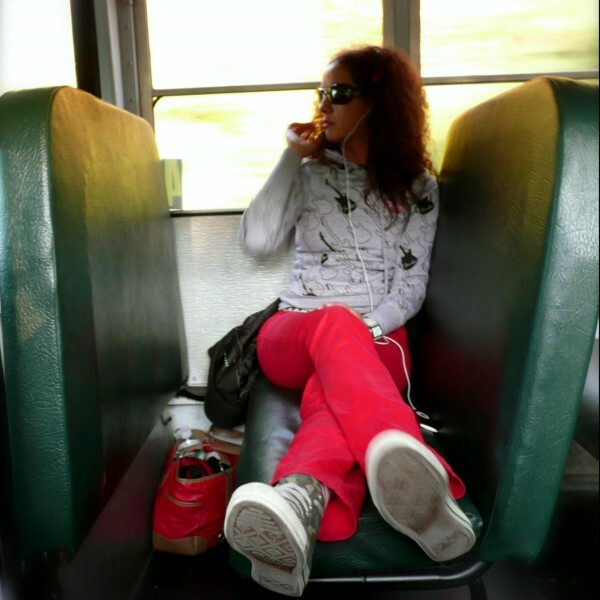 While the tests are conducted to determine whether or not the samples fall within legal limits for psychoactive substances, the product can remain confiscated for weeks or months. These obstacles are legion for the hemp sector in Spain, where even seed peelers are hard to find, whereas in France, Germany and Austria and other countries hectares of land dedicated to hemp are proliferating. In these countries, there have been no major problems with the police because the implemented regulations are quite simple. They entail contract farming, a system of aerial maps of the cultivated areas (ASCS), government oversight on the seeds grown (which have minimal levels of THC), in situ inspections and analyses of the cultivated lands both before and after harvesting, to check for the plants’ THC levels. We are talking about what could be a true green revolution, which would help reduce unemployment enormously in rural areas during this period of economic crisis. Cultivating hemp to extract its fibre would put an end to the dominance of textile and paper multinationals, giving way to local communities. This, in turn, would promote the movement of money, and stimulate a healthy economy. Authorities in all countries would realise that they could collect vast sums in tax revenues, without having to raise the level of taxation. We are talking about a real green economy, based on agricultural resources which supply industry, which would result in the emergence of a diversified local system of production, and a free and democratic market. In addition, from an agricultural perspective, hemp cultivation is a real alternative for economically deprived areas, given that it is a type of cultivation that is very useful for regenerating farming land that is currently abandoned and depleted. Finally, we are talking about increasing and encouraging social development to promote job creation and ensure the conservation of flora and fauna around us, all thanks to this same plant: hemp, cannabis… marijuana! with some very knowledgeable German folks. I wish I was 30 years younger!! Your comment has awakened my interest. Are you collaborating with german producers? Are you currently living in Spain and planning to grow hemp? I'm currently researching everything possible about this magnificant plant and would love to connect with like-minded people. I am looking to start a hemp/CBD business in Malaga, Spain. I am currently researching local farms and suppliers to find good quality products to put on our website. I was wondering if you want to collaborate?